Porcelain veneers are a popular cosmetic dentistry procedure that people undergo to transform the appearance of their smile. The porcelain veneers are made of an ultra-thin ceramic plates which adhere to the front of your teeth to disguise slight imperfections. Most people opt to get porcelain veneers as a means of cosmetic enhancement. However, it’s also a healthy option when you’ve experienced minor facial trauma and resulting damage to your teeth. Porcelain veneers can conceal tooth discoloration, a gap between teeth, misshapen teeth, cracks, and chips. Veneers are made from extremely thin shells of porcelain. They function, look, and feel like the rest of your natural teeth. Before affixing a porcelain veneer to the front or top of your tooth, Dr. Ahmed first remove approximately one-eighth of a millimeter of tooth enamel to ensure a snug fit. This prevents the porcelain veneer from protruding from the surface of your teeth once in place. The laboratory assistants at Alpha Dental create your dental veneer according to the shape, size, and color of your other teeth so it blends in well. Porcelain veneers were historically worn by actors and actresses during filming to disguise dental problems. However, no one had yet invented a way to attach veneers permanently. It’s only been in the past 30 years or so that dentists have offered porcelain veneers to any patient who wanted a way to improve their smile. Veneers are now permanently attached using a specialized cement and curing light. 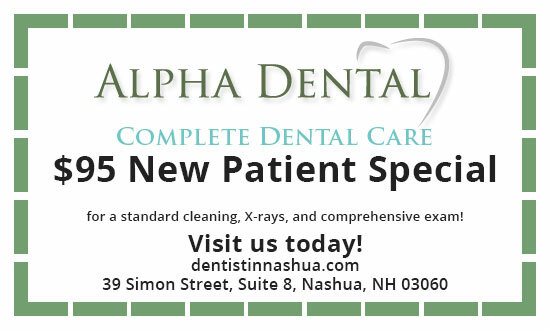 If you’re dissatisfied with the appearance of one or more of your teeth, contact Alpha Dental to consult with Dr. Ahmed. They will perform an examination of your teeth to provide to our laboratory. We will show you multiple styles and types of veneers so you can choose the most attractive option for yourself. When the laboratory returns your customized porcelain veneer, we’ll contact you to come in for a second appointment. Additional follow-up usually isn’t necessary. 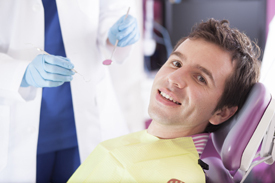 We painstakingly ensure that your porcelain veneers will match your natural teeth. Others won’t be able to tell that your teeth have been treated. Unlike your natural teeth, porcelain veneers are resistant to permanent staining. Where professional whitening fails, porcelain veneers can provide an alternative. Porcelain veneers don’t require special care. You simply brush them as you do your natural teeth. This is a non-invasive procedure that can be completed quickly in an outpatient setting. You never get a second chance to make a great first impression. Contact Alpha Dental today to inquire about porcelain veneers. We’ll make sure your smile is unforgettable.